Updated Thursday June 22, 2017 by Frank Zardezed. It is my great pleasure to announce that we have hired Brian Bold as the Burnt Hills United Director of Coaching. Brian will be a great resource and an exciting addition to our team. Please see Coach Bold's quote and Bio below. We are looking forward to a great year with Brian at the coaching helm! 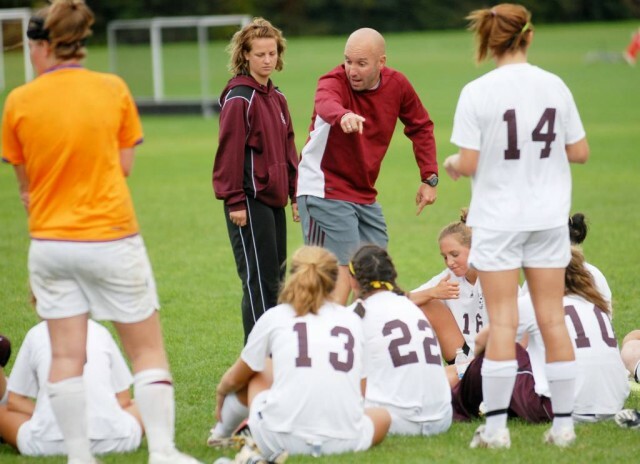 Coach Brian Bold currently coaches Burnt Hills–Ballston Lake Girls Varsity. In his eleven seasons as head coach he has led his teams to seven appearances in the New York State Class ‘A’ Girls State Championship Final Four. His teams have captured ten Section II Class ‘A’ Championship Titles and were crowned New York State Regional Champions six times. At the conclusion of the 2006 season the Spartans were ranked nationally at #23 in the final NSCAA Nation Season Poll. Coach Bold was selected Section II Coach of the Year six times during his tenure. In addition Bold has been chosen Suburban Council, Times Union and Saratogian Coach of the Year three times. In addition to coaching at Burnt Hills-Ballston Lake High School, Coach Bold has been the head coach for the Alleycats Premier Soccer Club. During his years with Alleycats Premier Club he guided his Alleycats Attack team to two Region 1 Northeast Regional Premier League Championship games and his Lynx team to an Eastern New York Premier League Title in 2009. The Lynx were crowned Region 1 Northeast Regional Premier Co-Champions in 2010. He then guided them to an Eastern New York State, U17 State Cup Championship and finish third at the National Championship Series in Lancaster PA. Coach Bold currently holds a USSF National D and C License, NYS Scholastic Coaching Certificate - Phase I,II,III, and an NSCAA Advanced National Diploma.